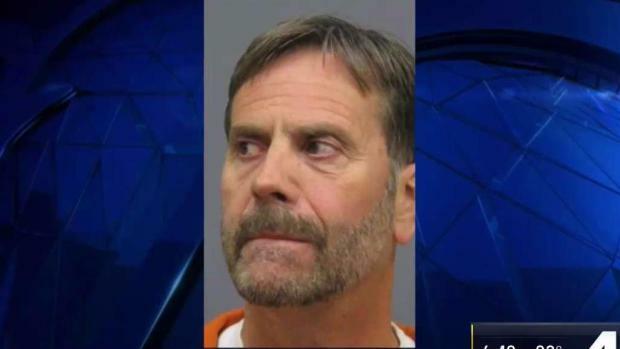 Robert Dale Warren of La Plata, Maryland, was arrested on June 14 for running over a victim's leg in Manassas, Virginia. A man ran over a woman's leg in northern Virginia last week in an act of road rage, police say. "It's definitely one of the more escalated road rage incidents that we've seen, to where someone actually gets run over by a car," Sgt. Jonathan Perok of the Prince William County Police Department said. Robert Dale Warren, 60, was driving a pickup truck during the evening rush hour in Manassas, Virginia, on June 13 when a woman pulled in front of him on Hastings Drive, police said. Warren slammed on the brakes and lightly hit the car from behind. After a minor fender bender, Robert Dale Warren physically assaulted a young woman before running over her leg with his pickup truck last week, police said. News4's Julie Carey reports. Warren and the 22-year-old woman driving the other car each stepped out of their vehicles. They got into a heated argument. Warren slapped the woman across the face multiple times and grabbed her wrist, pulling her toward her car, witnesses said. When Warren walked away from the woman, she followed him and confronted him. When he ignored her, she climbed onto the truck's running board. Warren put the truck in drive, knocking the victim to the ground. He ran over her leg and drove away, police say. Some witnesses tended to the victim, while others followed the truck and got the tag number. Warren was arrested the next day without incident and was charged with malicious wounding, assault and battery, and hit-and-run. He is being held without bond. The victim was taken to a hospital with a broken leg but is expected to recover.